It can’t be July. I can’t be 61. Oh but it is and I am. and I was genuinely overwhelmed by the number of Birthday Greetings on FB. Thanks so much to all of you for thinking of me. Started well though with three poems published on the 1st. Quarry Garden is about my favourite garden in Belsay, Northumberland where a garden has been made in the quarry from which the stones for Belsay Hall was hewn. It’s my sister’s favourite too and she said the poem reflected it perfectly. The poem is carefully structured. How might it take the form of a “meander”? 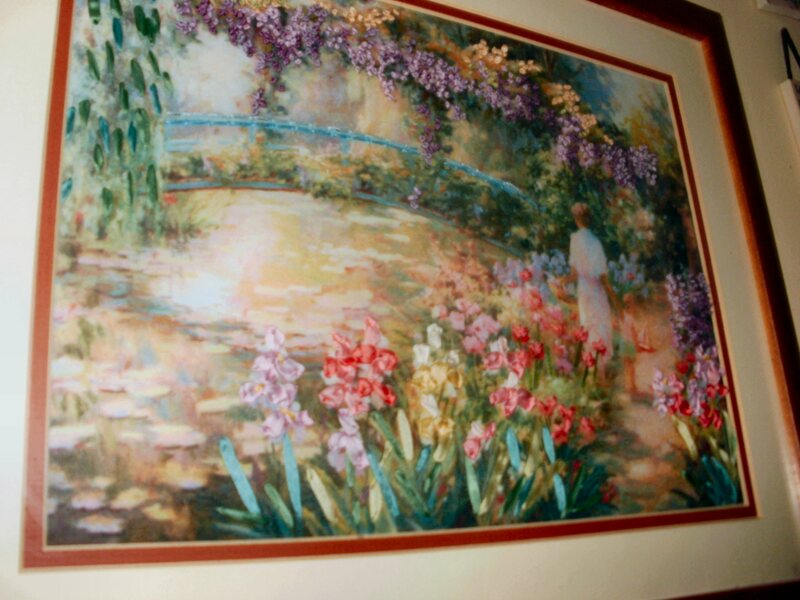 In the line “How many hours did you spend forming those flowers,” whom is the poet addressing: Monet or Esme? 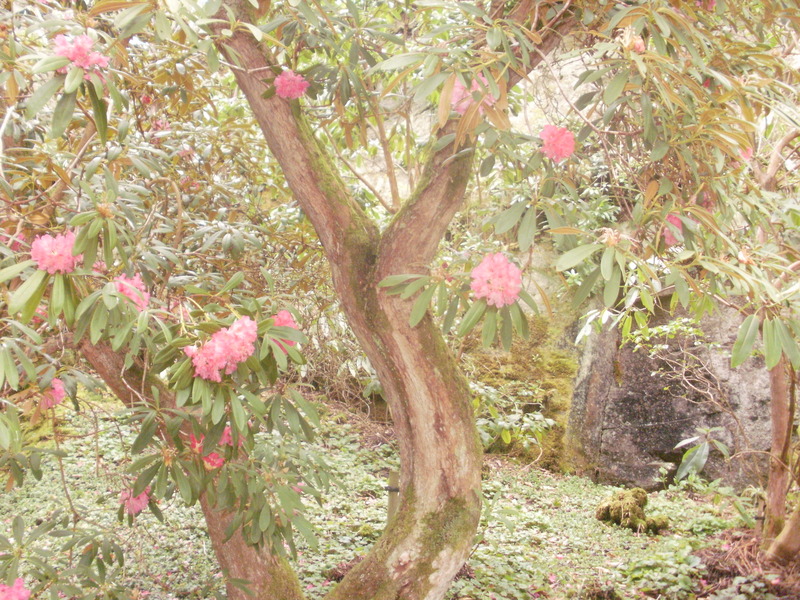 Coincidentally I took a very Monet-like photo in Belsay this spring. I asure you it is a photograph and not photoshopped either! In Gyroscope Review two poems — one written ages ago at my writer’s group in Newcastle — The Archaeology of Time; it is about a moment when time stands still. 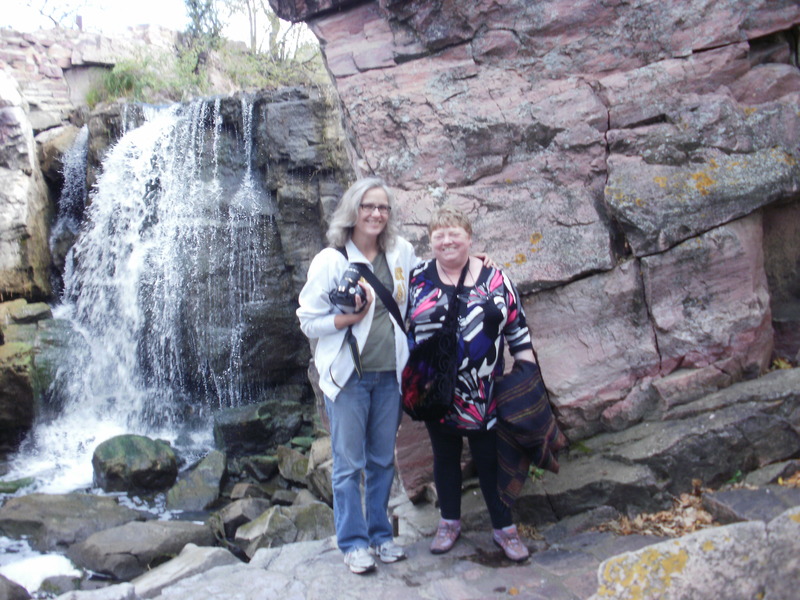 The other entitled Pipestone, is about a very special place I visited with Kathleen Mickelson in 2012. It is a Quarry (again) right in the centre of the US near the Minnesota border with South Dakota and it is where all the indigenous people went to carve by hand the red clay from which (peace pipes) calumets are crafted.It was a place where all must come in peace! I had a very spiritual experience in that place which resulted after a lot of writing and rewriting in this poem which is hewn rather than blasted and which I hope will take deep root in your hearts. I was supposed to go to Holy Island again for my birthday. It is another place that brings peace to me (when the day visitors have gone and the tide is out and the sun about to set.) But it didn’t work out. I hurt my back painting trellises — again. This time not too badly but it wasn’t worth the risk traipsing round on one of the warmest weekends of the year — sleeping in a different bed etc… so I will have that little visit to look forward to later in the season and in the meantime I have my sister visiting so lots of catching up to do and I have had three more poems accepted so far this month so a good start to July. A little further west next time, Oonah. 🙂 Devils Tower. They run series every couple of month. Maybe you will want to give them a try sometime.